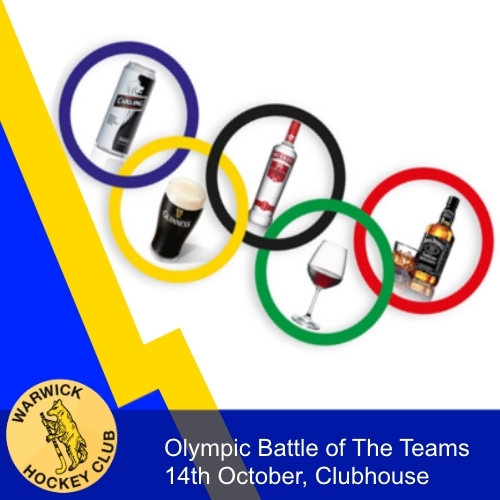 Warwick hockey clubs first social of the season on Saturday night was an Olympic themed battle of the teams. 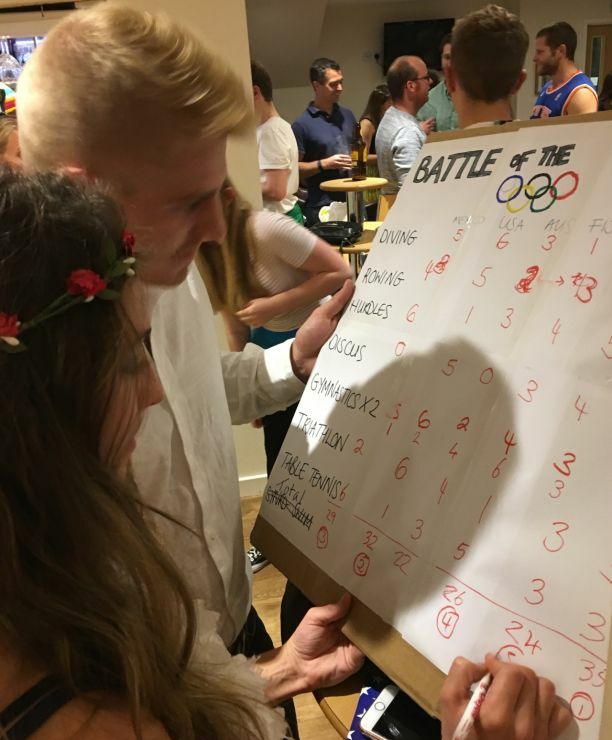 Fancy dress, party games and beer - what more could you want?? 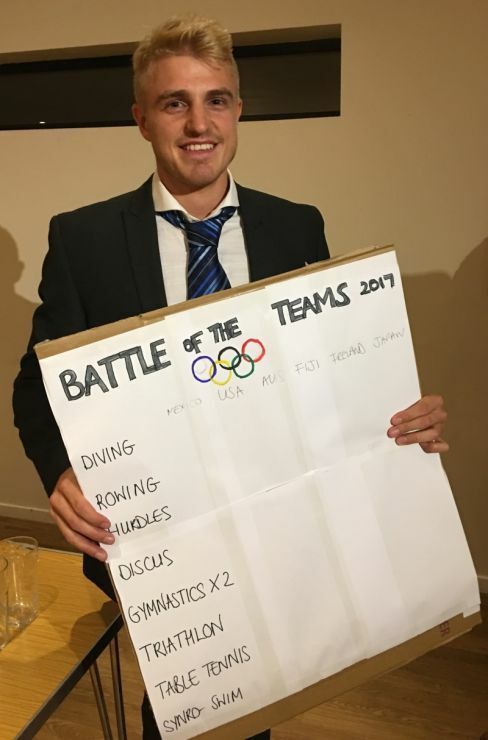 Battled it out in the hurdles, diving, gymnastics, triathlon, rowing, discuss and table tennis - all with a unique twist! 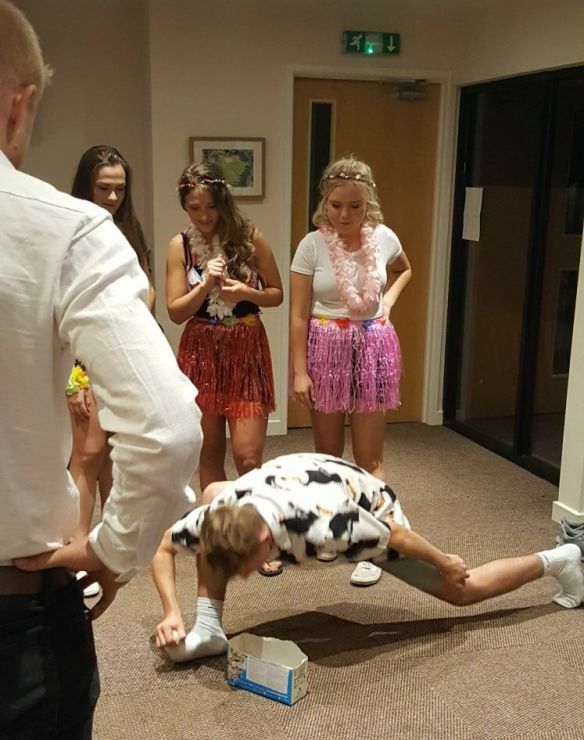 Diving - Tom Daly would have been proud of our efforts here - the first event was diving or apple bobbing as it is more commonly known. Very amusing for the spectators and very wet for the contestants. A very competitive Seb Fleet won the first event of the night. 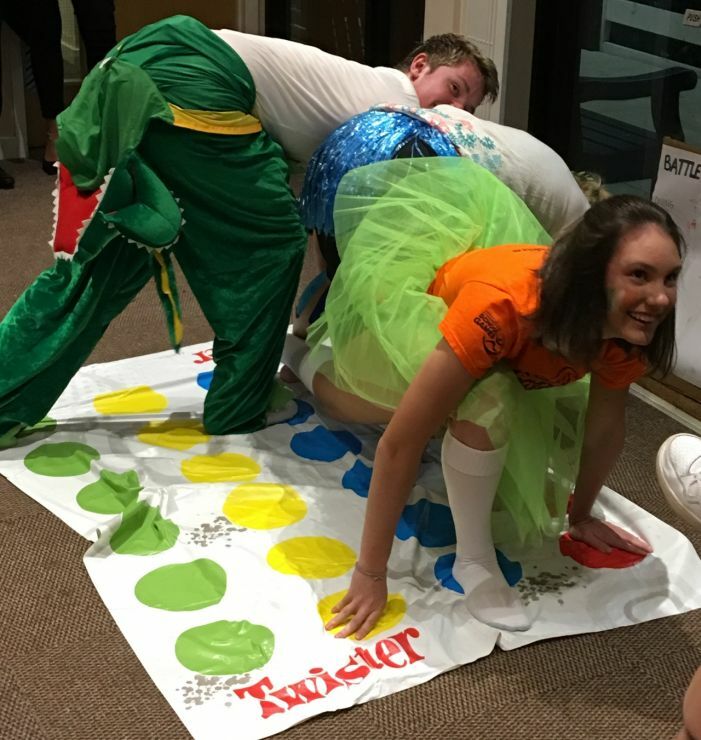 We then had the discuss - a competitive ring toss, table tennis - beer pong and gymnastics - a mixture of the cereal box game and twister. And I can’t skip past the cereal game without complimenting Tristan on his flexibility! This was very competitive and spoils were shared between Kirstin Bryce and Tristan. Rowing - boat race time! Despite cheating from the Men’s 3rd they were still unable to take the victory with Men’s 2s dominating again. Triathlon - eat a kinder egg, assemble the toy and down a pint - easy right? Well it is if you don’t need to assemble your toy! A very easy win for the ladies 3s. Men’s 2s prevailed above the rest to win and take home the well coveted trophy. 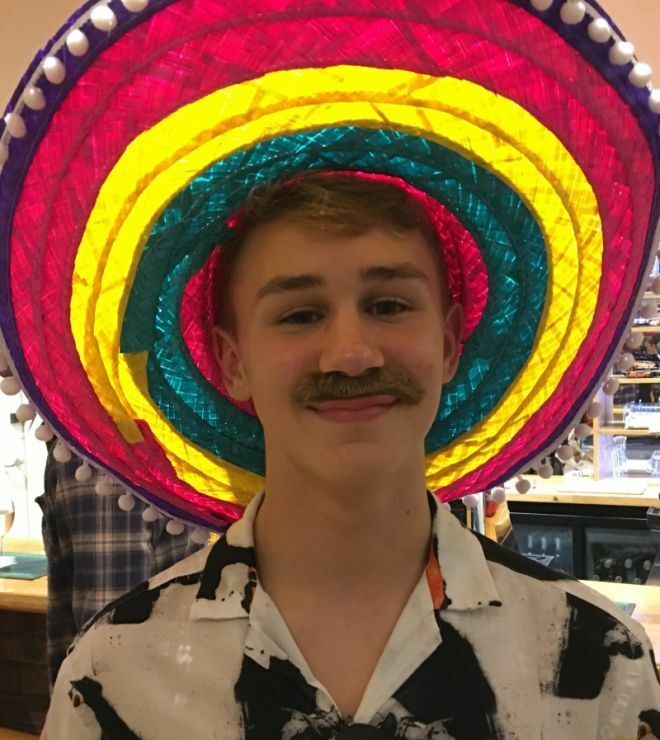 A special mention to Marije Tunnicliffe who won best dressed for a brilliant kangaroo costume & a big thank you to organisers Tim, Izzy Harriett and Tristan and our resident barman Andrew Westrope. Josh Cooper adds... "Upon walking into the clubhouse, we were met by a variety of different costumes; from a Kangaroo to Donald Trump. The battle of the teams commenced with the first event being Diving. Wes put in a valiant effort but was pipped to the post by team America, who managed to bob a whopping 5 apples in the 30 seconds! A bit further into the night, Luca smashed the Hurdles gaining Mexico the 6 points we deserved, proving that Mexicans are no strangers to shots. In fact, it appears that us Mexicans appeared to do better during the drinking-style games. For example after a long tournament of table tennis, with Fiji and Ireland's game lasting well over 5 minutes without either team making a shot, Chris managed to prove his ability by knocking Australia out on his first go. 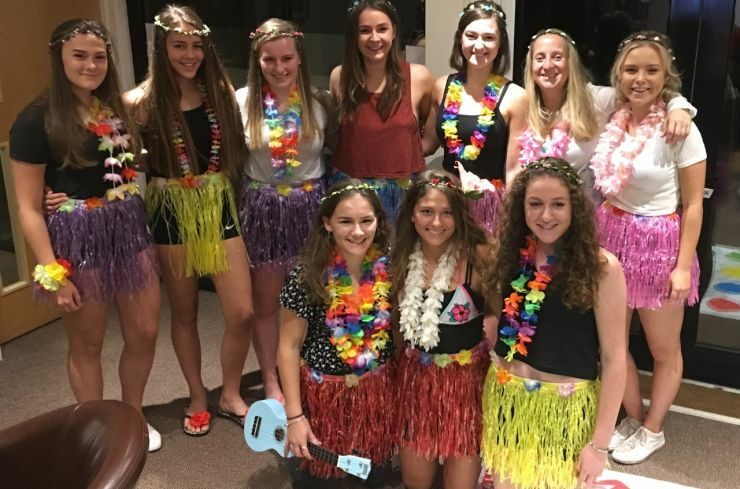 I think I speak for most teams when I say that we feel slightly cheated during Twister, with teams like Fiji and Ireland having to go through so much hardship, only to have USA remain standing with minimum effort."